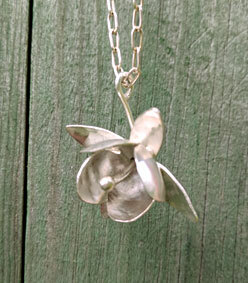 Handmade in sterling silver 925. There are only 2 pieces of this UNIQUE ex. 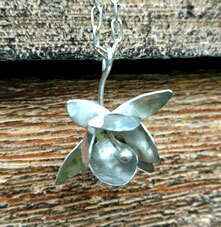 Fuchsia flower with a beautiful ruff but lovely sterling silver chain. Adjustable up to 55cm. Time of delivery appr. 1 weeks.